Edward A. Loniewski, DO, FACOS, FAOAO, 86, of Plymouth, Michigan passed away with the company of his lovely wife of 58 yrs., Joanne (Rohrig) and his children at Angela Hospice in Livonia, Michigan on Tuesday, January 23, 2018. 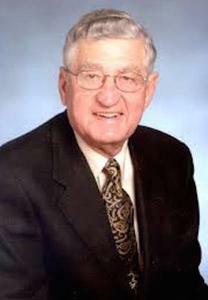 Ed lived a very full life of service to the medical profession and his local community. He founded Tri-County Orthopedics which served Botsford, Garden City, Detroit Osteopathic and Zeiger hospitals. He became Chairman Emeritus Department of Orthopedics, Botsford-Beaumont Hospital- Farmington Hills, MI where he trained numerous physicians from around the country. He was former chairperson for the Michigan Osteopathic College Foundation which helped establish the Michigan State University College of Osteopathic Medicine as the first publicly funded osteopathic college in the country. Ed rose through the ranks of osteopathic leadership by becoming the president of the American College of Osteopathic Surgeons and the American Osteopathic Academy of Orthopedics. He was elected president of the American Osteopathic Association. During this very active meeting schedule, Ed also served as a First Ambassador to the Orchard Lake Schools as well as becoming a Fourth-Degree Knight of Columbus and serving as fundraiser for the Friends of the Cardinal of the Diocese of Detroit. Ed had passions for golf, skiing, collecting wine and woodworking. His beautiful hand carved jewelry boxes, cutting boards and working mechanical wooden pens became instant heirlooms. He enjoyed the natural wonders God provided such as his summers on the shores of Walloon Lake, Michigan sailing and boating. Ed also forged many friendships while golfing with members of the Walloon Lake Country Club and Western Golf and Country Club. Ed is survived by his wife Joanne (Rohrig), sons; Dr. Edward (Melissa), Joseph, Thomas (Cindy) and daughters; Mary Ann Ransler (Mark) and Dr. Catherine Loniewski-Girdler (Greg) as well as 14 grandchildren. Ed’s family will be receiving friends on Thursday, January 25, 2018 at Turowski Funeral Home in Livonia (30200 Five Mile Road, Livonia, MI 48154, Ph: 734-525-9020) from 3 pm till 9 pm. The funeral mass will take place on Friday, January 26 at Our Lady of Good Counsel at 4760 N. Territorial Road, Plymouth, Michigan 48170. Family and friends will be able to pay last respects and pray for Ed at 10:00 am. Mass will begin at 10:30 am. In lieu of flowers or gifts, the family respectfully asks for donations to the Edward and Joanne Loniewski Merit Scholarship Fund through the American Osteopathic Foundation at: https://aof.org/give. Please enter in the designation: Edward Loniewski Merit Scholarship.